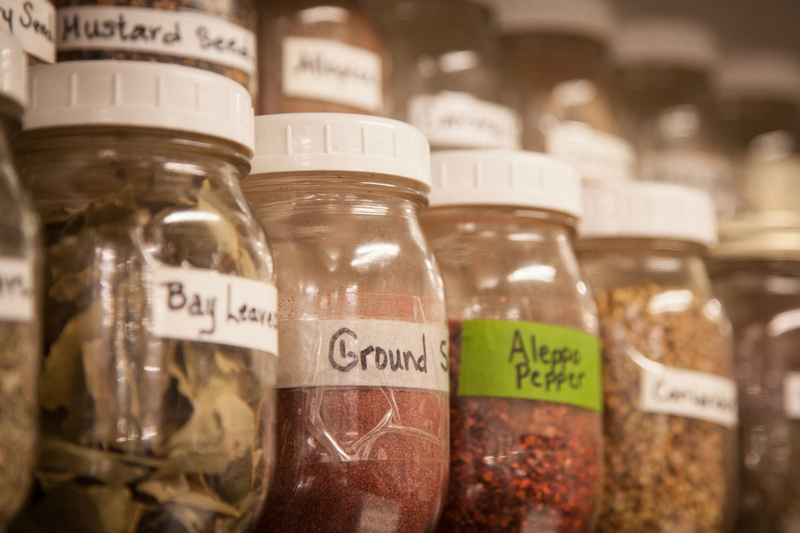 The level of detail found in our kitchens includes even the smallest of products: spices. The curry powder in our “Curried Cauliflower Soup” comes from The Spice House, a family owned company dedicated to highest quality and freshest spices. This delicious dish is perfect for an Alaskan climate, where a hardy vegetable like cauliflower thrives. Starting in July, we receive heads of Alaska cauliflower, ranging from creamy off-white to bright yellow and sometimes (when we’re lucky!) a shocking purple. The creaminess of this soup is unique, derived from pureed cashews and coconut milk. It has a rich flavor without any dairy, and is also vegan. The recipe comes from health food guru, Dr. Andrew Weil. 1) Put the cashews in a blender and blend until finely ground. Add 3/4 cup of water and blend for 2 minutes. Strain and set this mixture aside. 2) In a large pot, heat the olive oil over low heat. Add the diced onions and sauté until golden. Add the cauliflower, coconut milk, cashew mixture, curry powder, turmeric, cumin, sugar, cinnamon, and salt. Add enough water to cover. Bring to a low boil, reduce heat and simmer until cauliflower is tender, about 10 minutes. 3) Blend the soup with an immersion blender or standing blender until the desired consistency is reached. If using a standing blender, allow the mixture to cool for 20 minutes before blending. Blend until the soup is smooth. 4) Garnish, if desired, with caramelized onions. Sauté the thinly sliced onion in the canola oil over low heat, stirring frequently, until the onion is golden brown, about 30 minutes. Add a couple pinches of sugar and a pinch of salt to complete the caramelizing.